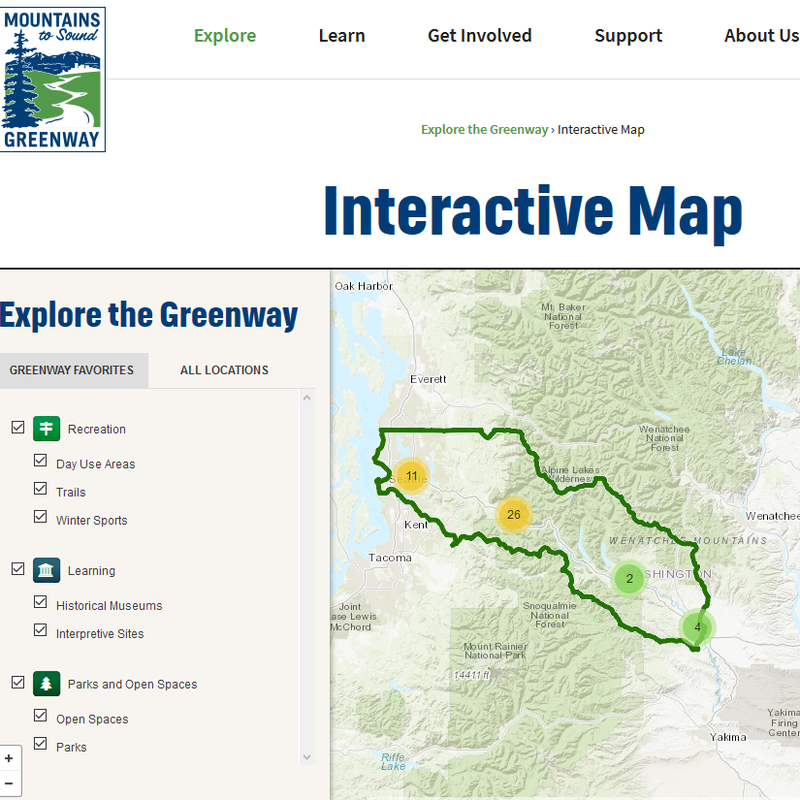 Washington Hometown offers many ways to share what makes our state special through data subscriptions, custom print and interactive maps, and placement on our free interactive community maps. Whether you are looking for data to support a tourism app, need a custom print map for a brochure, or want to connect with customers interested in a specific activity, we are there to help you. Map of Yakima prepared for the Visitor and Convention Bureau as part of a set for a map of the cities and towns in the area. Labels were provided in a separate layer and their designer incorporated the pieces into the final product. Our custom maps are available in any standard image format. We can design the maps ourselves or work with your graphic designer and we can output complete maps, or provide layers that your designer can manipulate to produce the final product. In addition to custom print maps, starting in late 2018, we will be offering GeoPDF maps through the Avenza store and printable recreation maps available at sporting goods stores. 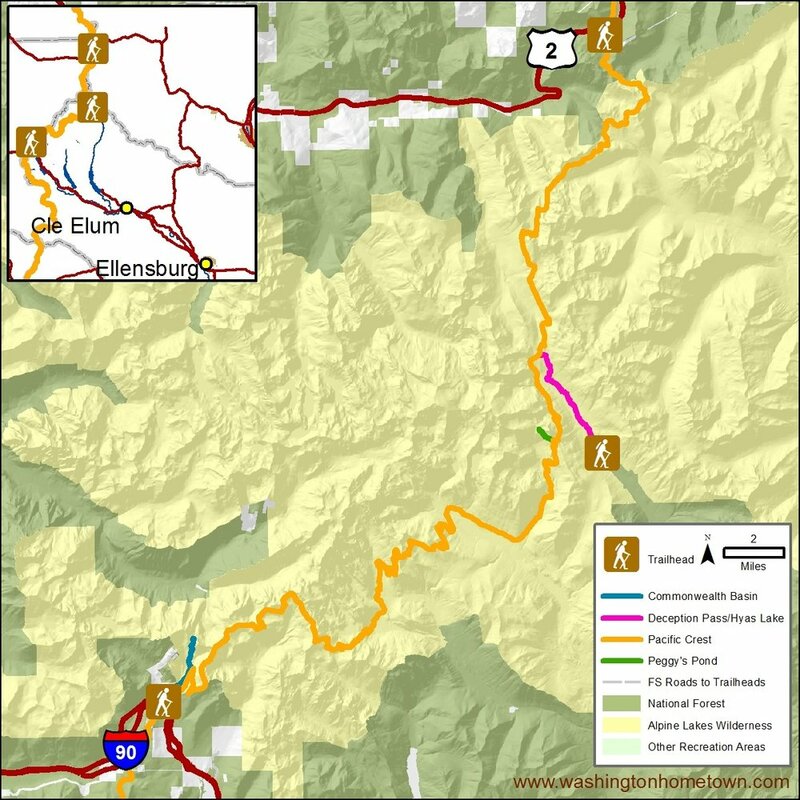 Interactive biking map for the Central Washington Color website. As you zoom in, the map includes hotels, campgrounds and other resources of interest to bikers. This is one of a set of maps, each focused on a different activity. A web map allows users to have an interactive experience. Pop-ups provide additional information about each place, data can be layered so that more types of resources are visible as you zoom in, and the user can change between a regular map and airphoto. We can produce custom web maps, and we offer a set of advertising-supported statewide maps focused on different types of activities that we call our community maps. One of three maps created for the Recreation and Conservation Office SCORP Project. The maps are used to analyze gaps and evaluate recreation grants. RCO subscribes to a data set which they use both for analysis and to create a set of interactive maps. If you design your own maps or apps, we can provide the data you need to tell a story. Our data is available by subscription basis and is regularly updated. We can output the data in any standard data format, including Esri shapefiles, GeoJSON and KML.